Debbie has created group coaching and home-study programs to assist you in increasing your self-worth, mastering your mindset, living an intentional life and creating a business you love. Join my most popular program with over 1000 women globally embracing the 30 day movement. What if someone could give you a step-by-step guide based on timeless principles to change your thoughts and perception, which when implemented lead to a BETTER life? A daily guide that has changed 1000+ women's lives around the world. It is possible for you to find the confidence and self-belief to live the life you desire and to not worry what people think. To develop the beautiful relationships you want without fear of being rejected and to feel content inside knowing your true worth as a woman. This signature program is drawn from the work with my highest paying clients and now this is available to you. Do you have a stunning website, beautiful images and offers ready to sell...but no-one is buying? In this Online Marketing Audit, Debbie will review your website and social media to guide you on your messaging and offers, and why you may not be experiencing the success you desire. This is one of my most powerful programs which has the potential to change EVERYTHING for you. A simple and effective step-by-step daily program to learn the formula I have used to manifest all I desire. Understand the immense power of your sub-conscious mind and learn how to use this daily to call in anything you desire by re-programming the root-cause of all of your thoughts and behaviours, your identity. To HAVE more you must first BECOME more. Do you find you are struggling with anxiety, negative thoughts and worry? Are you looking at everyone else wondering why you feel so unhappy in life? This program is the exact steps I took to lift myself out of depression. You will find your joy once again by making the right changes in your life and re-discovering yourself in the process. 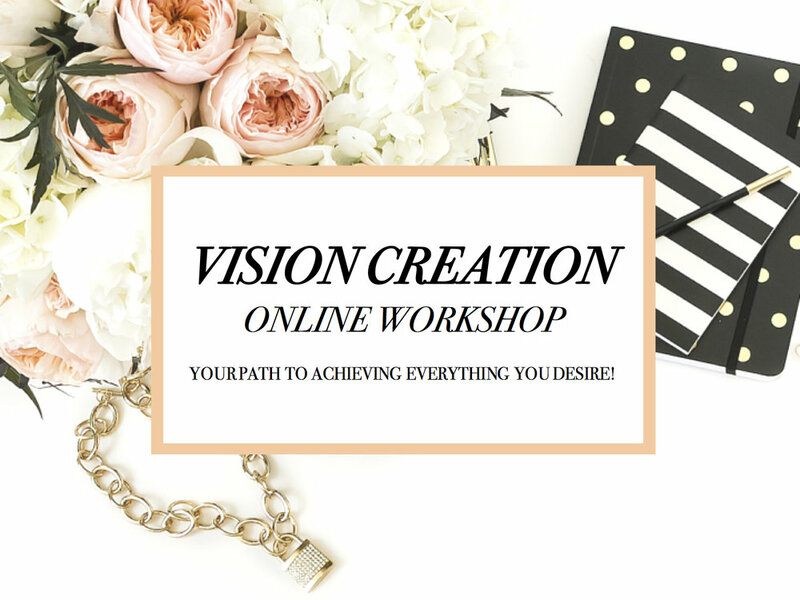 Discover why you must Vision Create if you want to achieve anything worthwhile. Because you can't just wing it and pray things work out. Not when creating an extraordinary life. Learn how this works so successfully to bring your dreams and goals into reality plus the game-changing Vision Mapping process on how to get anything you want (the same process the great minds of our time have used).